Taipei, 31 May 2016 – GIGABYTE TECHNOLOGY Co. Ltd., A leading manufacturer of motherboards and graphics cards is proud to present its new lineup of Ultra Gaming and Designare motherboards for the world to see at computex 2016. 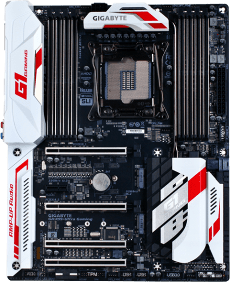 In light of the new Intel 10-Core CPU, GIGABYTE has created three new X99 motherboards for users to experience the full power of this platform and not be limited by dated technologies. Those who are lucky enough to attend Computex 2016 will have the privilege to have an up close look at GIGABYTE’s Ultra Gaming Motherboards. These motherboards were designed to redefine the gaming experience, incorporating technologies that gamers from around the world have desired to see on a desktop system. 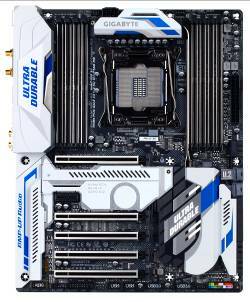 Also among the Ultra Gaming Motherboards, GIGABYTE is also displaying a solution set built for Content Creators, Designers, and Artists, namely the Designare Motherboards. To witness what GIGABYTE has to offer this year, at the largest Asian ICT tradeshow, attendees can visit the Taipei World Trade Center, booth D0002 from May 31st until June 4th. During Computex 2016 Intel is debuting its latest and greatest Extreme Edition Processor. This processor is a 10-Core Desktop CPU which features improved compatibility and features such as Turbo Boost Max 3.0. Being one of the first CPU’s to support 10-Cores and 20 Threads in the consumer market, this marks a new era for desktop computing. 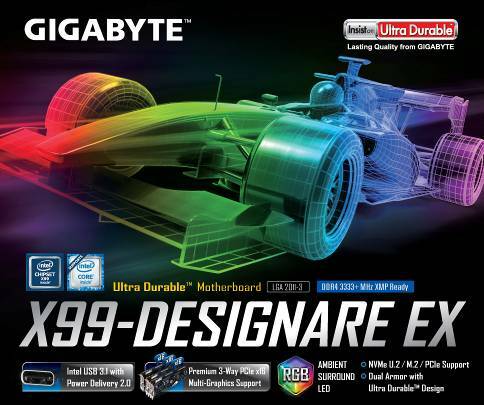 GIGABYTE’s new X99 Ultra Gaming and Designare motherboards are built to support these enhancements and features of this CPU. GIGABYTE Ultra Gaming Motherboards are built with gamers in mind. With the future of gaming moving more towards Ultra High-Definition (UHD) content and Virtual Reality (VR), high-end components are essential to providing the best experience to the user. GIGABYTE has incorporated many features to help enhance the users experience such as: Ambient Surround LED, Hybrid Fan Control, and M.2 & U.2 support. With more and more DIY PC Gamers building their PC to suit their personalities it only makes sense that they would want to design their PC to match their desktop’s environment. With Gamers valuing control over the aesthetics of their Gaming PC, GIGABYTE has included Ambient Surround LED so gamers can now leverage these onboard LEDs as well as the LED Strip Pin Headers, found on the Ultra Gaming Motherboards, to help immerse gamers in the center of the action. Not only can users control the color of the LED’s but also the lighting method such as beat mode, which illuminates to the sound of your music, or pulse mode that phases on and off imitating a heartbeat or breath. Gamers are always trying to squeeze the most performance out of their system whether with more fans or with different types of cooling. GIGABYTE has made this process easier, with Hybrid Fan Control, for those users that want to customize their gaming desktop. Hybrid Fan Control allows users to use aftermarket fans that suit their needs whether the fan or pump operates under Voltage Calibration or Pulse Width Modulation (PWM) Modes. This solution enables a broader range of parts and integration support into a GIGABYTE Ultra Gaming PC. As game developers begin to trend towards ultra high-definition content it is important that the PC can keep up. By implementing M.2 & U.2 onboard GIGABYTE Motherboards, Gamers now have the technology in arms length to take advantage of newer NVMe PCIe SSDs, like Intel’s 750 NVMe. With transfer speeds almost four times that of traditional SSDs the possibilities seem endless. Often time’s users do not have the luxury to be troubled with which type of motherboard is suitable for their application. GIGABYTE has made this decision easier for Content Creators, Designers, and Artists. By making a motherboard that is focused for these users, GIGABYTE has simplified the process in searching for the right solution for creative artists. The Designare Motherboard is the perfect solution base for any user looking for a high performance computer able to withstand any application or job. 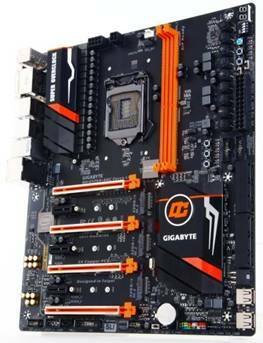 To help designers succeed in their studio and out on the job, GIGABYTE has included USB3.1 on the Designare Motherboards. This protocol is twice as fast as its predecessor, USB3.0, allowing users to transfer large files in half the time. As graphics and video projects grow larger and larger in size, rendering these files become tedious as Designers wait for the system to load. With the Z170X-Designare Motherboard the capability to operate three (3) Intel NVMe 750 SSDs in RAID 0 is now possible. Thus, eliminating load times that one often experienced with older desktop workstations. Lastly, GIGABYTE will be debuting some additional products from their BRIX Lineup, the BRIX Gaming UHD as well as the GIGABYTE PC. These two gaming systems are an impeccable example of the fact that you do not need to sacrifice size for performance. The BRIX Gaming UHD weighs in at less than two thousand grams, taking up less than 2.6 liters in space. This barebone comes in both Intel Core i5 and i7 processors for the user to select from. The GIGABYTE PC is a larger system but still compact taking up only 10 liters of space with the capabilities to be upgradeable with a standard desktop graphics cards. All of these will be on display during Computex 2016 for all to see. For more information on GIGABYTE’s newly launched motherboards or BRIX Products, or to see what other exciting products and peripherals GIGABYTE has in store be sure to visit its booth in the TWTC, Booth D0002.